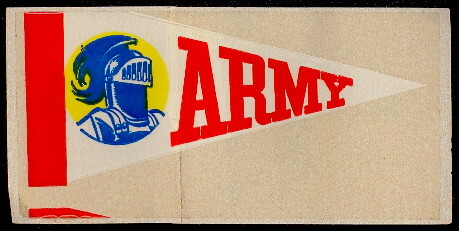 This set of 24 pennant stickers was inserted into regular issue Topps AFL cards. These inserts are actually 2-1/8" X 4-1/2" glassine type peel-offs on gray backing. 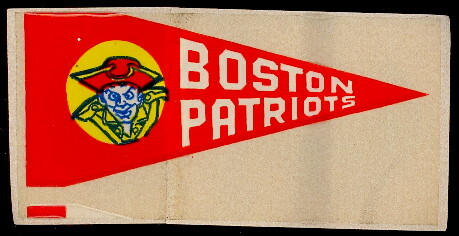 The stickers were folded in order to fit into the 1964 wax packs so they are normally found with folds or creases.